This type of sewer clog affects only one drain. Typically, the drain gets clogged with hair, soap, or an excess of lint. You’ll notice the drain (usually in a bathroom) begin to drain more slowly before eventually clogging completely. These clogs are more serious because they affect your entire home. This happens when the pipes under your home get clogged, causing several of the drains in your home to stop draining or back up. A gurgling sound coming from the drains. Grease, poured down the kitchen drain after cooking—even small amounts—will eventually turn solid and block your pipes. 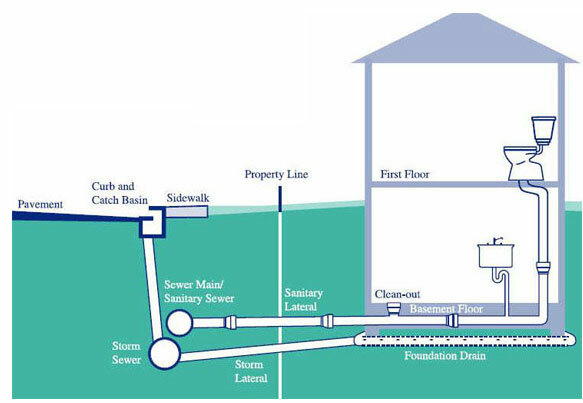 Taking preventative measures now can prevent serious problems, such as a complete sewer line block, down the road. Have your sewer lines cleaned every 18-24 months by a professional plumber. If you notice any of the signs above, don’t wait for your regularly scheduled cleaning. Contact a plumber right away to schedule an inspection of your pipes. Maplewood Plumbing and Sewer has been cleaning, installing and repairing sewer lines in St. Louis homes for more than 30 years. Contact us today at 314-645-6350 or here for more information or to request a bid.